Merry Christmas to you all! 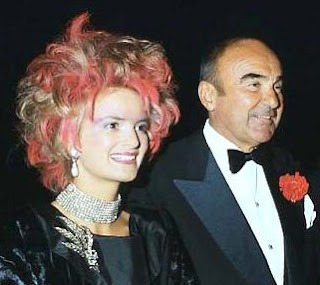 In my neck of the woods - Germany that is, in case you hadn't noticed - and many other European countries there is no Christmas without "Sissi" starring Romy Schneider as the young Empress Elisabeth of Austria and Karlheinz Böhm as the dashing Emperor Franz Joseph. 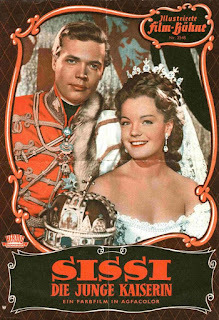 The German films "Sissi" (1955), "Sissi - The Young Empress" (1956) and "Sissi - Fateful Years of an Empress" (1957) were produced by Ernst Marischka are overly romantic and part of the many, many German 1950's feel-good movies there are. Nonetheless, there are part of every Christmas - not just for me. The third part, "Sissi - Fateful Years of an Empress", were shown no less than 39 times on German free TV between 1997 and 2012 alone, which makes it the second most shown movie of those 15 years - so it has probably been on TV around 100 times by now. Don't expect anything closely resembling the real story of Sisi and Franzl but a glorious costume extravaganza starring one big love story as well as Schloss Schönbrunn. It was these movies that made Empress Elisabeth into the legendary figure she is today. 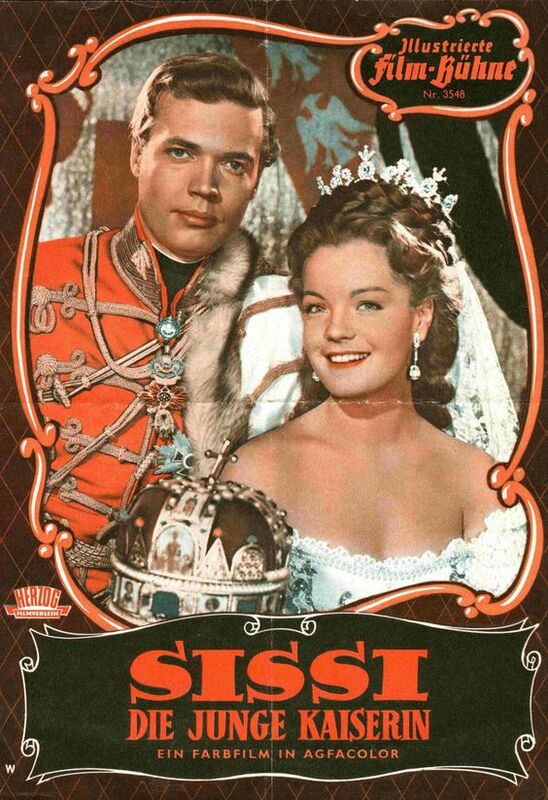 I think I was about six when I first watched the "Sissi" trilogy and I have seen them about 20 times since. I can actually quote most parts of the movie - and so can the rest of my family. 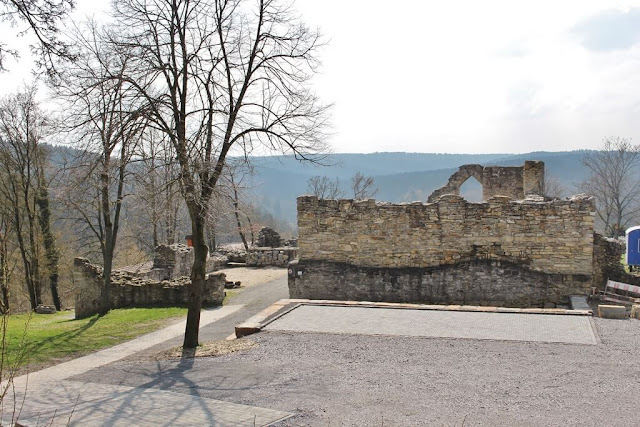 And so it may not be too surprising to you that I was bitterly disappointed that when I visited Schloss Possenhofen, Elisabeth's childhood home, when I was about ten as it didn't look anything like in the movies. 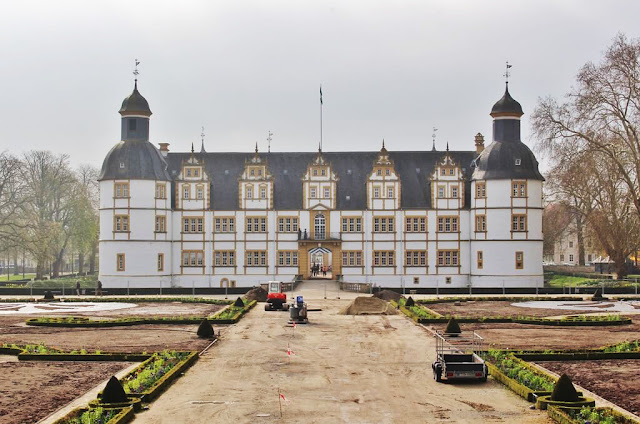 (Because Schloss Fuschl in Austria actually played the role.) It also took me many years to learn that the lives of the real Empress Elisabeth and Emperor Franz Joseph were far from the romantic fairytale of the Sissi and Franz I grew up loving but I still love the films!